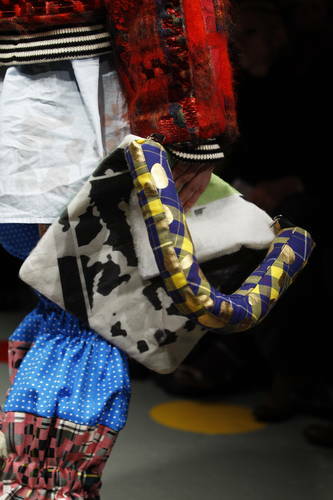 These bags from the autumn/winter 2011/12 catwalks are larger than life. The below clutches by Louise Gray are definitely lots of fun and look like they have been designed in some kind of dream state. 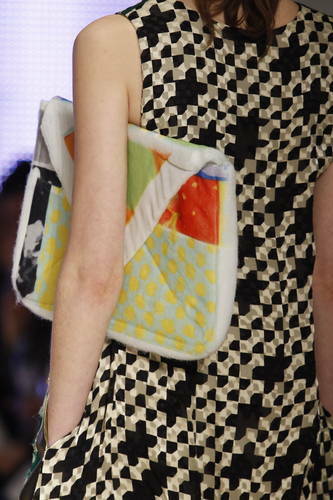 Puffy handles, patch work materials and paintbox colours which swirl and clash are lots of fun on the catwalk. The proportions of the handles on this bag combined with the narrowness of the bag makes me laugh. Its like craft day at kindergarten, but in a wierd way, i sort of like it. This one here is a real doozy. 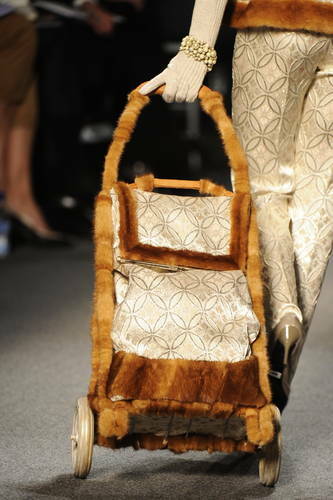 Its by Jean Paul Gaultier and its basically a fur lined shopping trolley, the kind you see old grannies wheeling around the high street. 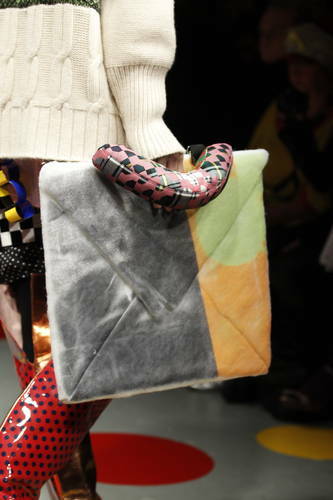 The bag has been edged with fur in a way which almost looks like it has been edged with pieces of steak - sloppy and shoddily done which gives it a very strange, almost barbaric feel.